I'm using a Windows 7 PC and am trying to unpack an *.ab backup file created using Helium. If I right-click on the file in Windows Explorer and select the Unpack option that now appears after installing Droid Explorer 0.9.0.4, I'm first asked for a password. I provided none when creating the backup, so I simply leave the password field blank and press OK to continue. Is that supposed to pop up at this point? Am I missing something that should be installed that would avoid this? I have Java 8 Update 31 currently installed on this machine. 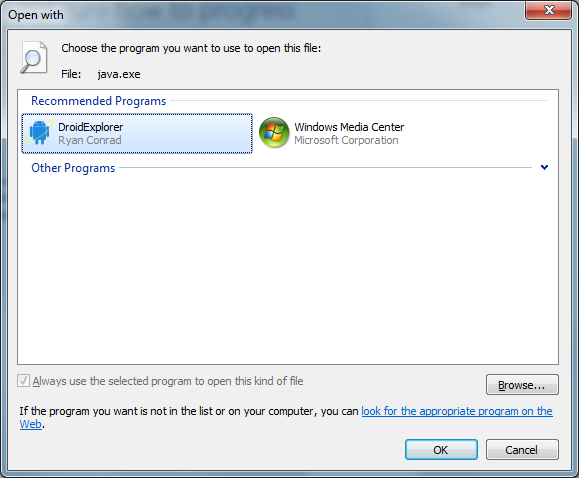 This looks like (as stated in my comment above) that it has to do with the Path of Java not existing in the windows PATH environment variable.